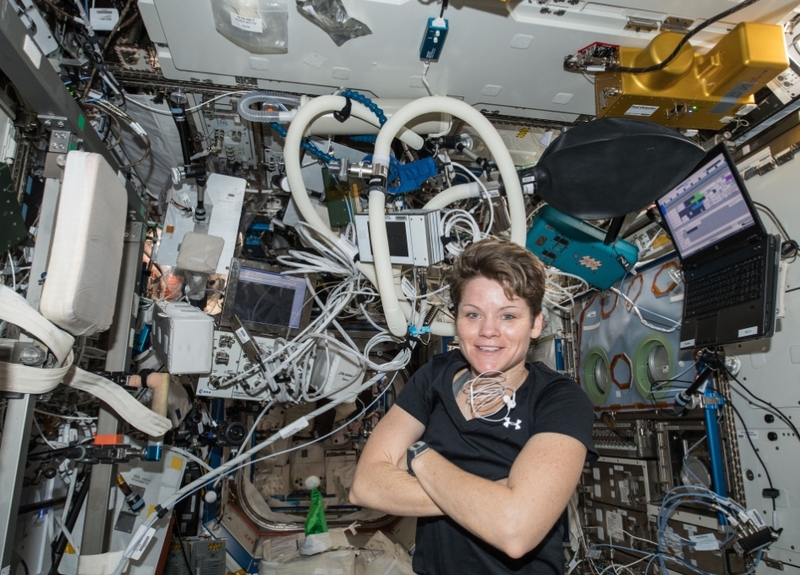 NASA astronaut Anne McClain is inside the Destiny laboratory module surrounded by exercise gear, including laptop computers and sensors that measure physical exertion and aerobic capacity, during a workout session aboard the International Space Station. Credit: NASA. Dec. 14, 2018. The space residents supplemented their research activities and kept the orbital lab systems in tip-top shape. The commander, Oleg Kononenko of Roscosmos, worked primarily in the station's Russian segment beginning the day working on life support gear. The highly experienced cosmonaut then moved onto space navigation research before charging the emergency phone inside the Soyuz MS-11 spacecraft. Compound Specific Analyzer - Combustion Products (CSA-CP) Sample Pump Failure: During a scheduled inspection, the crew found that one CSA-CP Sample Pump was failed. The Sample Pump is needed to obtain CSA-CP samples at fire ports. Currently there is only one functional Sample Pump on ISS. Ground teams are working to manifest a spare pump onboard an upcoming cargo vehicle.